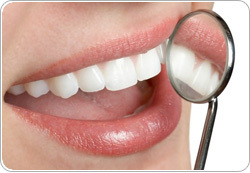 Would you like to get your healthy and beautiful smile back? Don’t hesitate to visit us! You may be troubled by losing your teeth or by the deterioration in the aesthetic condition of your teeth. Difficult chewing and embarrassment during speaking due to poor aesthetics may have a considerable impact on your everyday mood. If you have these feelings, visit our Dental Clinic! Our dental office can be found in Abacus Business and Wellness Hotel superior ****, near Budapest, Hungary, where, in a pleasant and friendly environment, we offer a solution for all your problems, regardless of whether the simplest dental treatment or the most challenging oral surgical intervention is required. The members of our medical team work with great proficiency in every branch of dentistry and oral surgery, possessing a comprehensive knowledge gained during many years of practice. •	We offer a full warranty for every procedure performed at the Clinic. •	Only excellent materials with quality assurance are used in the clinic. •	Our professional travel agent partner can provide you with the best accomodation, sightseeing, and program options.